Facebook has joined the “high quality content” wagon by with their recent update. News feeds now prioritize content that is considered high quality and are often clicked on from mobile devices, and also displays additional articles that are relevant and similar to the original. This is potentially good news for companies using Facebook to publish, promote, and share their longer articles and blog posts. In light of this effort to highlight high quality articles, Facebook News Feeds now display up to three related articles directly beneath the original post. 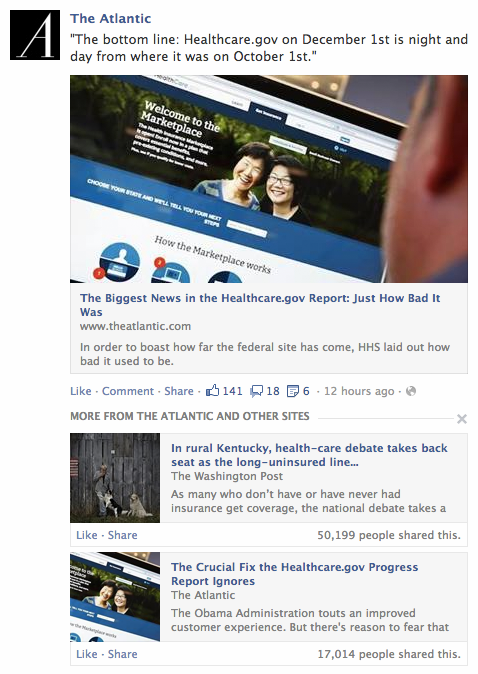 Facebook has also updated their “story bumping” system to highlight posts with comments from a user’s friends. 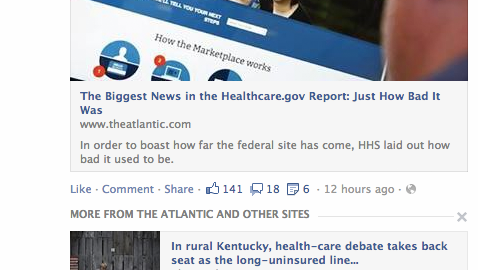 Story bumping was introduced earlier this year to allow relevant stories to appear higher up on a user’s News Feed. With this new update, stories with new comments from a user’s friends can reappear toward the top of his or her feed. With search engines and social media constantly emphasizing the importance of high quality content, you need to work with an internet marketing firm that knows how to keep up. Talk to us and let us develop a great strategy for your website and social media accounts.